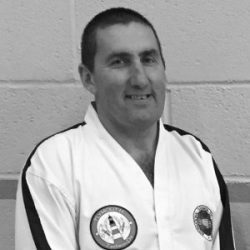 Mr Chris Wood, currently 6th-degree Taekwondo black belt and Examiner, first started teaching for the Adult Education Authority at Heles School in 1979. He has now been a full-time martial arts instructor for over 25 years. Over that time, Mr Wood has developed SCMA, taught thousands of students, and hundreds to black belt level; many of his black belts have themselves reached very senior levels in TaekwonDo. In addition to TaekwonDo, the art of Kickboxing was introduced to SCMA some years ago. This has proved to be a great platform to deliver many of the other diverse martial arts styles Mr Wood has practised, including Karate, Western Boxing, Muay Thai and Ju-Jitsu. All Instructors are fully qualified and DBS checked, and also qualified in first aid.